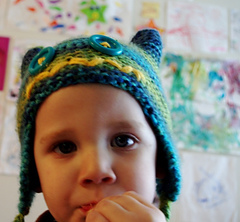 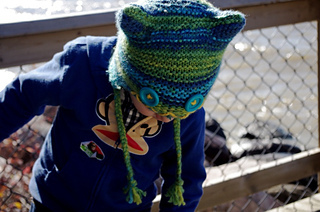 This hat is knit-in-the-round no seaming to worry about later. 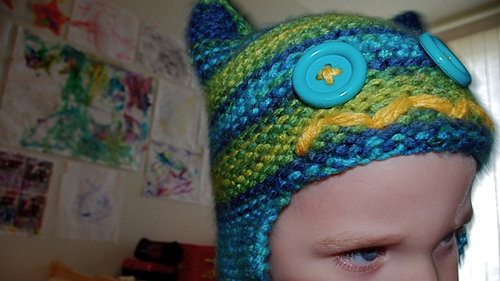 The ear-flaps are knit first with the rest of the hat being built onto them. 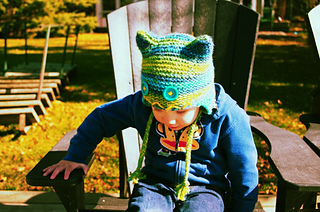 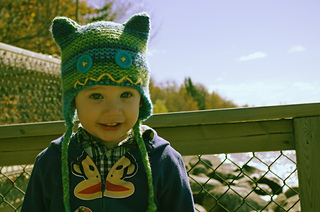 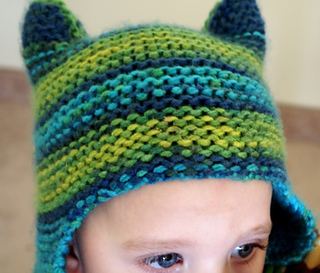 Knit in garter stitch, this hat is an excellent way to show off variegated or tonal yarns. 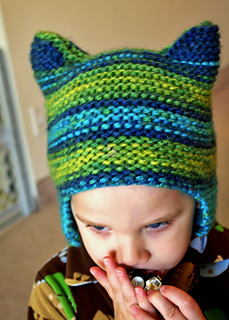 The pointy ears are then shaped using short rows so there are no stitches to pick up. 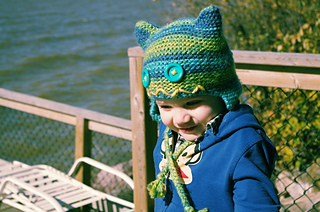 Finally, the top is grafted together using Kitchener stitch for a clean finish.